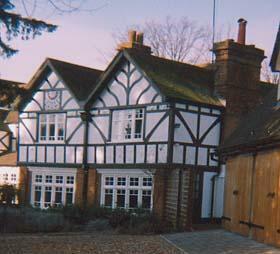 Moss Cottage offers superb self catering accommodation in the peaceful village of Pinner. Near Wembley in Greater London, it's the perfect base to explore the local area. The cottage is fully equipped for a short holiday. It is one of the few remaining 16th century Grade II Listed buildings in the village & overlooks a large woodland garden with lawns and mature trees. Inside there are 3 good sized bedrooms which can sleep up to 5 people, a spacious lounge/dining room and a large fitted kitchen. 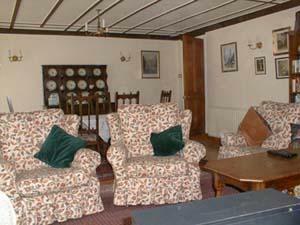 Two of the bedrooms and the dining room/lounge have splendid views of the woodland garden. Pinner's picturesque High Street and 13th Century Parish Church are only a short 10 minute walk away. Visitors can experience London and all that it offers, while being able to enjoy the peaceful ambiance of a traditional English village.